Leeds United have posted losses of £9.5m for the financial year 2012-13. The Championship side, who are now set to be taken over by Massimo Cellino, saw turnover fall by over £3m from the previous year, while attendances dropped by almost 8%. The period includes the club's takeover by Gulf Finance House in December 2012. Leeds were loaned around £11.3m by Brendale Holdings Limited, a Dubai-based company which is controlled by GFH. The accounts show that at the end of the financial year the club had no majority owner as GFH sold more than 50% of their stake to different parties before buying it back at the back end of 2013 prior to the sale to Cellino. The Italian's takeover was initially blocked by the Football League but on Saturday he won his appeal against that ruling and is now set to complete his deal this week. It is understood the club now owe over £30m to creditors and Cellino will now have to bring the debt down if they are to comply with the Football League's Financial Fair Play regulations. Last month the players agreed to defer a part of their wages as the club dealt with cash flow problems and there was a danger that the club could have fallen into administration. 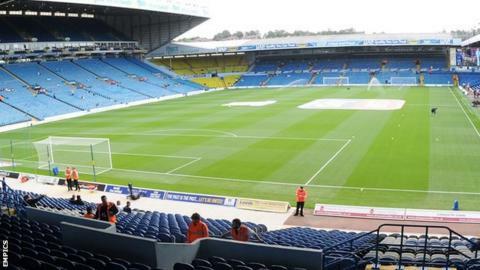 The Elland Road side, who have lost seven of their eight matches, face Watford on Tuesday.